Properties in Paeroa average 4.5 out of 5 stars. 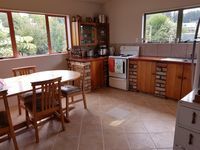 Property 1: The Paeroa Bungalow..
Property 7: Comfy home opp Gilmour Lake. 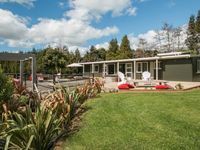 Property 10: Stables On Frankton Waihi The Coromandel. Property 12: Silverstream Cottage, nestled next to the Mangatoetoe Stream. Property 14: Haybarn House. This house has a round roof. I have an extremely spoiled cat.